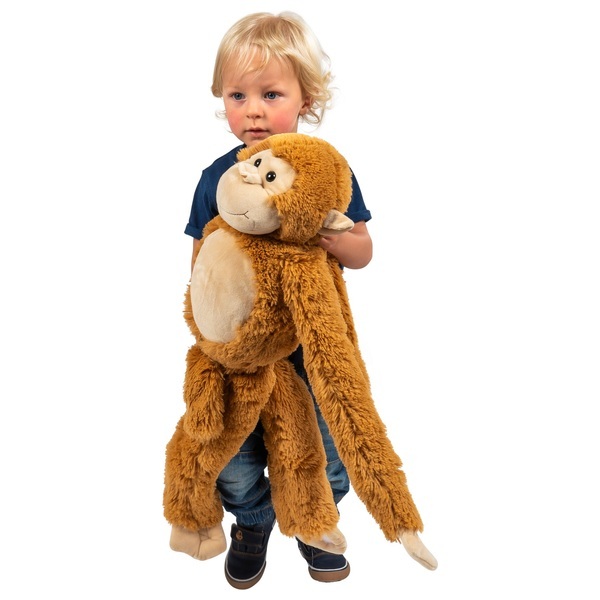 This cheeky monkey loves giving you hugs! With velcro at the top of their arms and legs they can hang and swing from almost anything. Length 75cm.